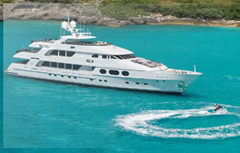 Select Yacht TypeAllAll Power YachtsAll - Sailing YachtsSail - Catamarans/TrimaransSail - MonohullsMotor Sailers Select LocationAlaskaAntarcticaArcticAustraliaBahamasCaliforniaCaribbean LeewardsCaribbean Virgin Islands Caribbean WindwardsCentral AmericaCroatiaDubaiFlorida French PolynesiaGreat LakesGreeceIndian Ocean & SE AsiaMexicoNew England New ZealandNorthern EuropePacific NWRed SeaSouth AmericaSouth PacificTurkeyUnited Arab EmiratesW. Med - Spain/BalearicsW. Med -Naples/SicilyW. Med -Riviera/Cors/Sard. Australia's coastline offers many interesting locations for yacht charters - The Great Barrier Reef being the main attraction. Australia is full of lively towns, amazing landscapes, and offers many activities. These include scuba diving, fishing, and much more. Known as the world's largest reef system, The Great Barrier Reef consists of over 2,900 reefs. It is located in the north east area of Australia and contains some of the world's most diverse wildlife.